This year’s iPhone refresh will bring big upgrades for some of the handset’s most important features, according to a new rumour. A Weibo post from Chinese user C Technology claims the iPhone 11 Max would sport a huge 4,000mAh battery. If it turns out to be true, it will be a significant jump from 2,658mAh in the current iPhone XS and 3,174mAh battery inside the iPhone XS Max. The cheaper iPhone XR sports a 2,942mAh battery. It will certainly be a difficult task for Apple to pack a 4,000mAh battery in the 2019 iPhone because the overall form factor of the device is expected to remain the same. 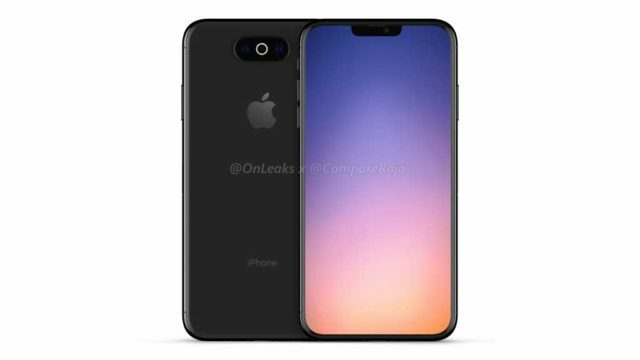 Reliable tipster Steve Hemmerstoffer AKA @OnLeaks has said the new iPhones would look similar to the 2018 models, except for the rear camera and a smaller notch. Other rumours include a smaller notch, and 15W wireless fast charging, marking a significant increase from the current 7.5W wireless charging speed, and a display with a 90 to 120Hz refresh rate. The Weibo post, echoing other recent rumours, also claims that the 2019 iPhone will feature a smaller TrueDepth notch than the current iPhone XS models. Echoing recent rumours, iCTech also claims the next iPhone will feature a smaller TrueDepth notch than current models. Rumours this week claimed that Apple’s forthcoming flagship iPhone will feature 10-megapixel and 14-megapixel main cameras, with its front-facing effort clocking in at 10 megapixels. As this “leak” ascribes its information to any specific source, it’s very important to take this information with a grain of salt. IIC can’t confirm the information in the report as 100% correct and as such presents this information for discussion purposes only.